Home » Our Doctors » Terrence J. Reynolds, O.D. Dr. Reynolds was raised in Spokane, Washington and graduated from Joel E. Ferris High School. He then graduated from the University of Washington and completed his education, receiving his Doctorate from Southern California College of Optometry. He and his wife, who is from Idaho, settled in Boise to raise their family. He is a member of the American Optometric Association, the Southwest Idaho Optometric Association, the SCCO Alumni Association as well as being a life member of the University of Washington Alumni Association. 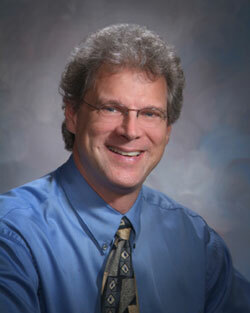 Dr. Reynolds is an active member of Boise Metro Rotary, and has served on the board for many years. Boise Metro Rotary has completed such projects as the renovation of Pioneer Cemetery and the development of Rotary Park behind the city hall in Garden City. Dr. Reynolds enjoys target shooting, golf and bicycling in his spare time with his family.